Brooke was a devoted wife, mother, daughter, sister and friend. She fought for years to battle pain and suffering to ensure that her family was safe and secure, all the while worrying about everyone else besides herself. She left an imprint on many hearts in her 35 years on this earth. In the end, Brooke gave one last time by donating her organs and donating for science research. 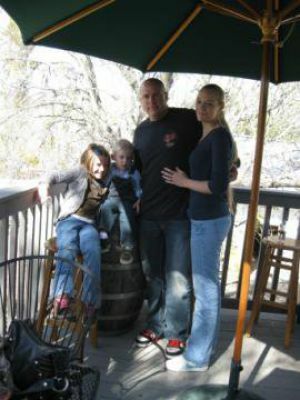 She is survived by her husband, Mark, and two beautiful children, Hailey and Brayden. Brooke was a devoted Shield Maiden to all whom she loved. Become a part of Brooke April Laeve Shabaker's story. Click Here. I was in my FB memories today and up came another post of Brooke that was tagged to me about family and brotherhood etc. She was most loyal. Rest In Paradise Beautiful! You're missed and loved! I love you Angel ... Until we meet again.